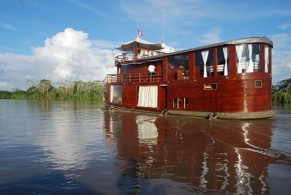 Explore the Amazon with boutique accommodations and persoanlized service! 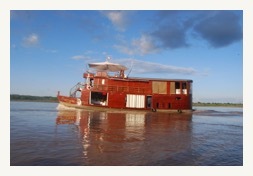 A small ship on the Amazon River! 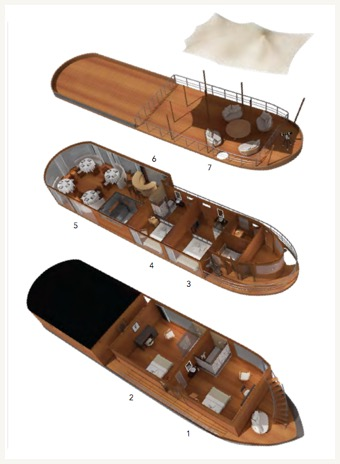 Often called luxury cruises, the ship is designed for “boutique” accommodations and service. 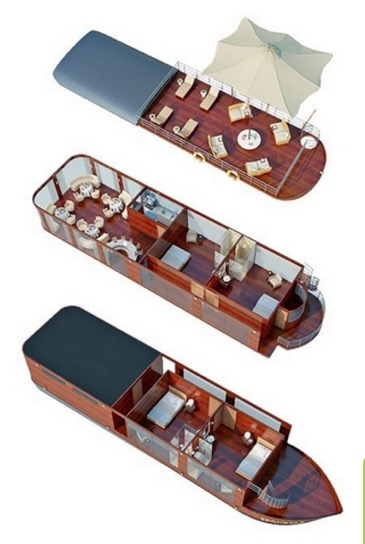 With only 4 cabins, the crew of 8 plus can be extra attentive to the small number of guests. 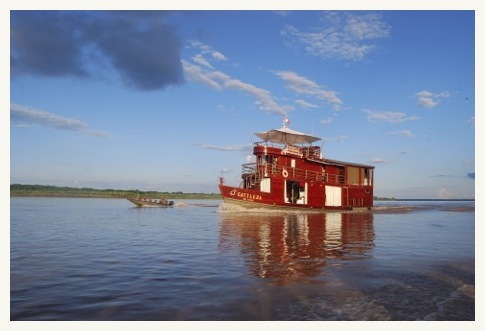 Now offering 8-Days, Tres Fronteras (Three Frontiers) cruises from Iquitos, Peru to Leticia, Colombia & Tabatinga, Brazil and back. The 4-days, or the 5-days, itineraries can be operated with a minimum of two passengers. 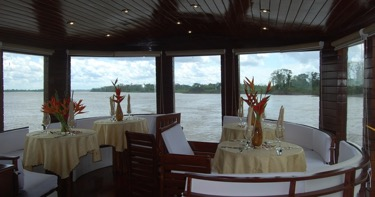 The two itineraries can also be combined for a superior 8 day, Amazon River Cruise for 4 or more participants. 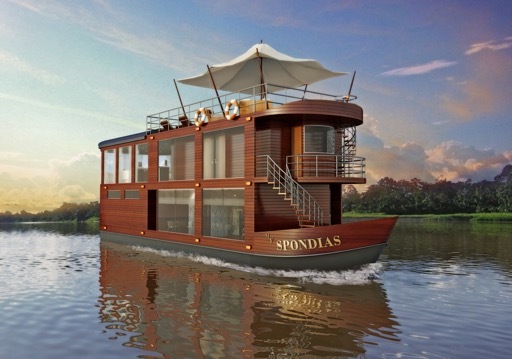 The Cattleya and its sister ship, the Spondias, are perfect for families and groups to have their own private boat on the Amazon River. With roll-a-way beds added for children to the king-bed suites, the maximum number for a private group is 12 people. 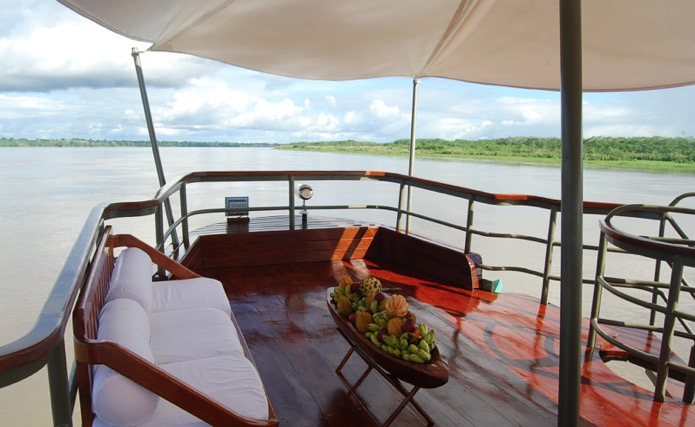 With a private charter, the beautiful ship serves well as your own luxury yacht in the Amazon Rainforest - contact is for charter pricing! 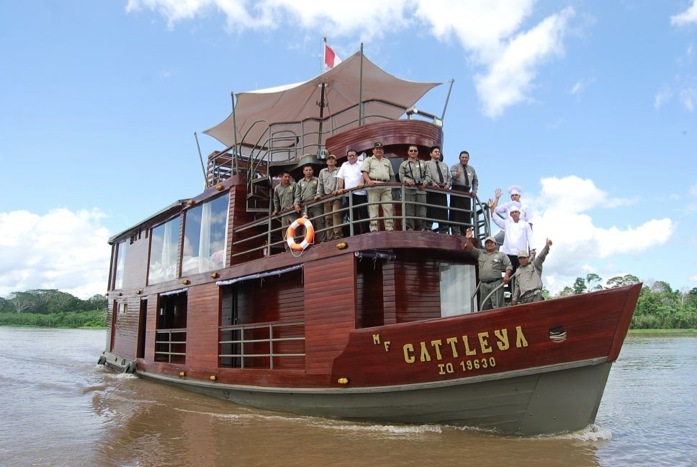 As a smaller-sized riverboat, you not only have a more personalized experience throughout, the Cattleya can navigate further and into more of the Amazon River’s tributaries than other tourist ships, allowing for viewing options that other larger ships cannot. You will have the chance to experience the jungle up close with itineraries adjusted to suit the interests of the guests. 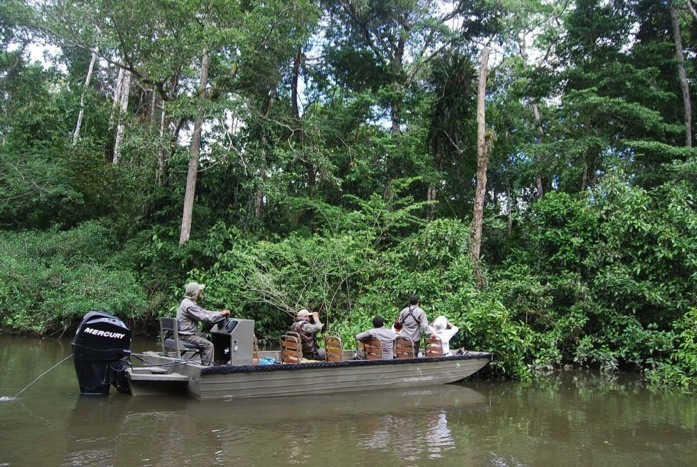 Led by an expert naturalist guides (with no large groups to contend with), the daily excursions reveal the flora and fauna of the Amazon rainforest and waters. 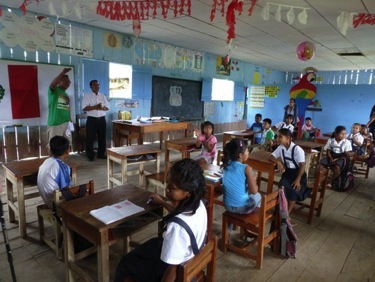 With the exclusive small number of participants, you can have more intimate experience when visiting the local rivereños in their homes and villages. 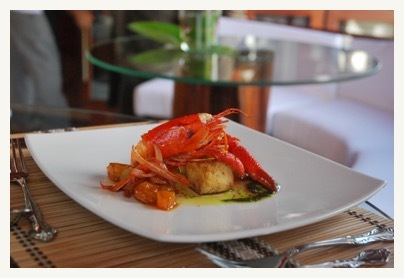 The gourmet cuisine onboard is superb and provides a chance to try local foods as well. 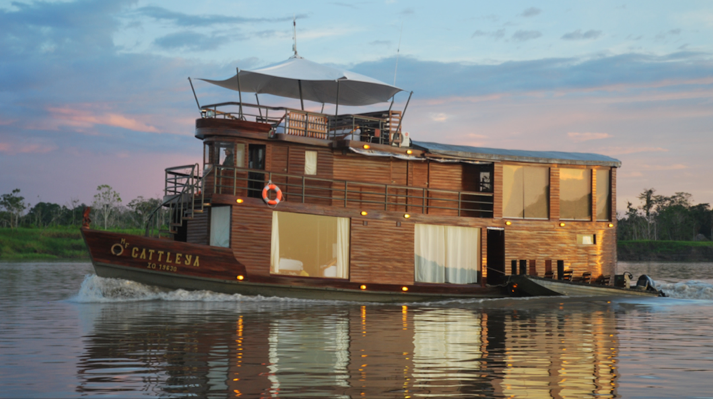 Gain a rare glimpse of how life ‘on the river‘ is lived and experience the magic of the Amazon with personalized service! 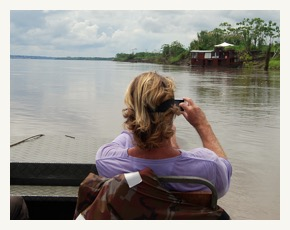 Travel 650 miles on the Amazon River! 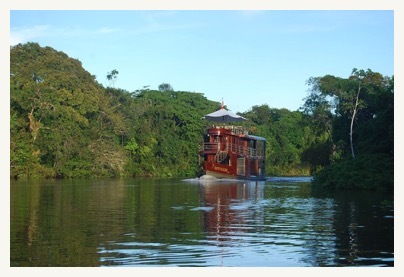 Similar to the cruises we used to operate in the 1980’s, called the Tres Fronteras Cruise on the ships Rio Amazons and the Arca, this itinerary offers a wide variety of experiences and beautiful sailing on the Amazon River. Our last day start with nourishing breakfast before the goodbye from the crew members as we do the disembarking procedures and get ready for the transfer to the airport, which will mark the end of this adventure to the three frontiers. •	7 nights aboard the M/V Cattleya. •	Airport (or hotel) transfers IN / OUT. 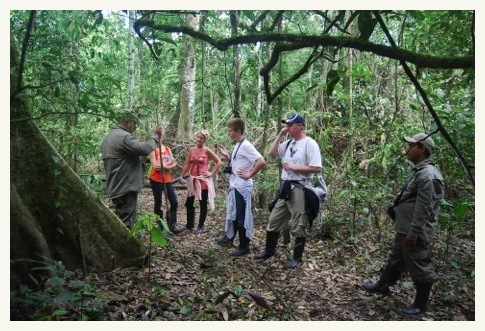 •	Launches and land excursions with our expert naturalist team. •	24 hour restaurant service. •	Small group experience, Maximum of 8. 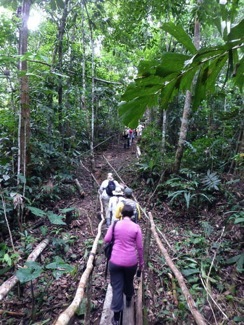 The Adventure Begins: Welcome to the Amazon! Reached only by airplane or boat, the bustling city of Iquitos is the 5th largest city in Peru and the beginning of your Amazon adventure! 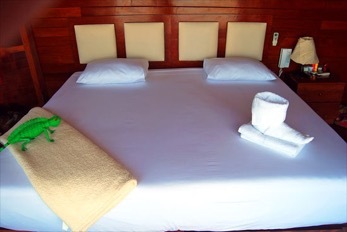 You will be met at the airport and comfortably transported 2 hours by road to the town of Nauta. 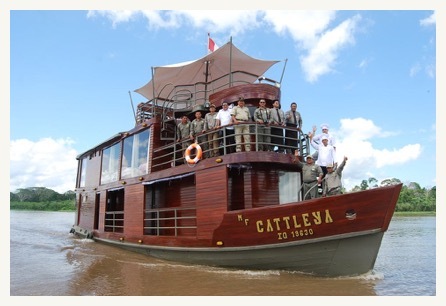 Here you will embark on the modern and newly built river boat, the M/V Cattleya. Take some time to settle in, relax and have a drink as you get to know your fellow passengers. There will never be more than 12 guests, so you will have the opportunity to make life-long friends. As safety is our priority, we will conduct a safety drill and explain everything you need to know about the M/V Cattleya to have a safe and exhilarating adventure. 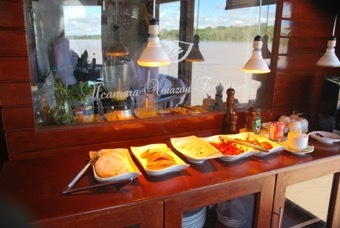 Later you savor the first of many authentic freshly prepared dinners by our talented chef as we begin your journey along the Amazon! 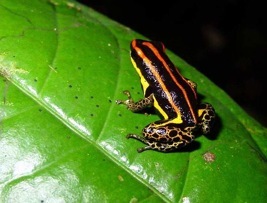 over 130 species of reptiles and amphibians and hundreds of mammals and primates. Have your binoculars and cameras on hand because our guides will expertly identify creatures difficult to spot with an untrained eye. 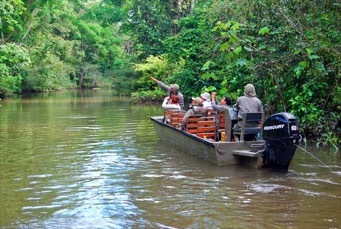 Explore the Dorado River and the Sapote River: Venturing deep into the rainforest, we will spend the entire day wandering through the island mazes and twisted tunnels of the the igapo (seasonally flooded forest) where the dense plant life is dramatically different than what we see from the river’s edge and harbors a whole new variety of exotic wildlife. As water levels allow, we will hike through the reserve for close up viewing and discovery lead by our expert and knowledgeable guides. Examine and learn first-hand about the jungle plants – their unique survival tactics as they compete for sun and nutrients in the dense rainforest, the part they play in sustaining the complex balance of life in the jungle and the important medicinal value they offer. 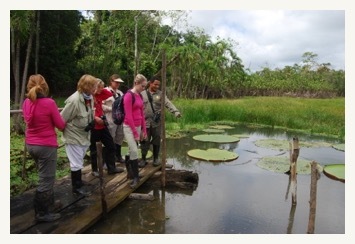 Explore the Pacaya-Samiria National Reserve: After an early breakfast, we will further explore the vast wetlands of the Pacaya-Samiria Reserve. Add to your growing list of wildlife and bird sightings. See below and to the right side for more information about the rich reserve. Meet the locals: You will visit homes and villages along the river for a chance to meet and learn about the lives of the “Ribereño” people who call the river’s edge their home. It is an excellent opportunity to ask questions (practice your Spanish if you like!) and gain a deeper understanding of how people live in this remote part of the world. You will learn about their cultural traditions and beliefs in addition to seeing how they have adapted to life in a tropical rainforest. In some villages, a wide variety of handmade handicrafts and delightful folk art will be available for your viewing and purchase. 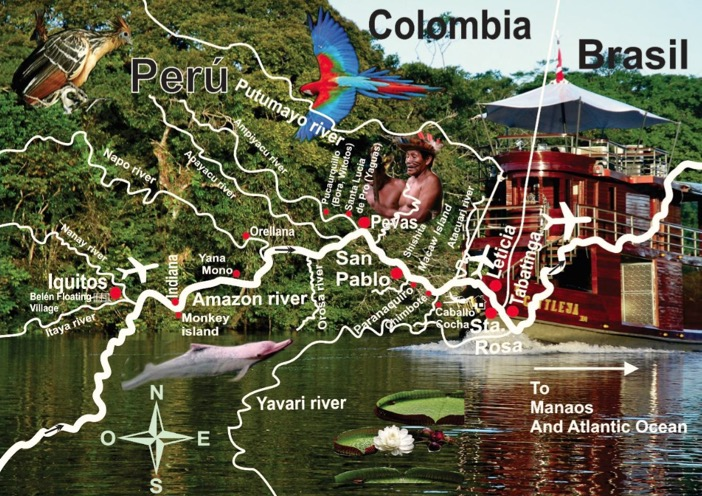 Explore the beginning of the Amazon River: In the morning we slowly meander up-river toward the confluence of the Marañon and Ucayali Rivers, famous for marking the beginning of the mighty Amazon River. Observe small villages that dot the river’s edge and catch a glimpse of the locals’ activities as they go about their day. As we turn into the Ucayali River, the famous freshwater gray river dolphins and Amazon pink dolphins frequently swim near the boat. 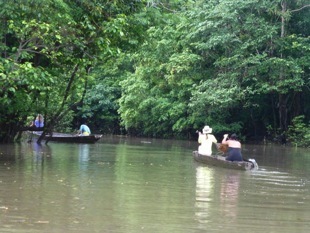 In the afternoon, we will board our excursion boats to explore the channels that weave through island mazes so we can get a closer look at the wildlife that abounds such as monkeys, sloths, frogs, and an amazing variety of marsh birds. 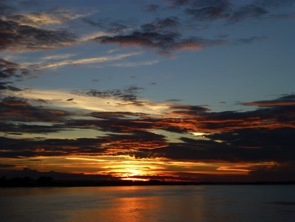 Experience one of many brilliant Amazon sunsets as we return to the M/V Cattleya. * Email us as soon as possible to set dates for private charters. Children Discount: 8 years minimum on all programs, children under 13 years receive a 25% discount. Rates include: all excursions, all meals, house wines with dinner, all non-alcoholic drinks, transfers from/to Iquitos airport on recommended flights, entrance fee to the Pacaya Samiria National Reserve. Rates do not include: air flight cost Iquitos, cost of medical emergencies (including evacuation), premium alcoholic drinks, gratuities to guides and crew. 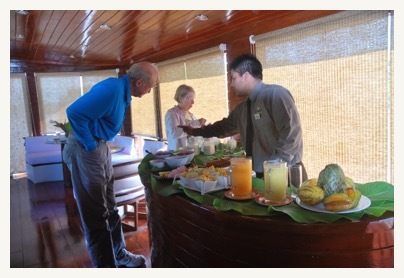 Enjoy breakfast as we cruise along the Marañón River. Board our excursion boat for a day-long excursion in the Pacaya Samiria National Reserve, the largest reserve in Peru and the second largest in all the Amazon. 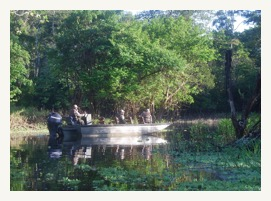 Travel by excursion boat from Yanayacu Creek to the remote Yarina Cocha. 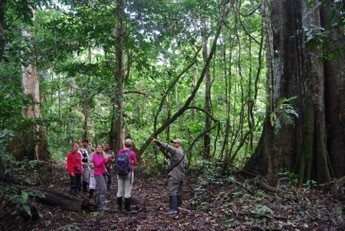 In the morning we depart for our next adventure - a spectacular tour of the rainforest from its canopy. Take a short hike to the canopy walkway – a suspended bridge spanning over 500 meters (1/3 of a mile) connected by platforms in the rainforest treetops. 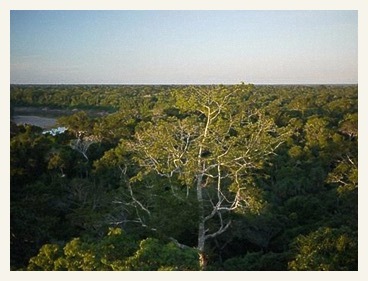 Experience a unique view of the rainforest flora and fauna from heights reaching 35 meters (115 feet). After this breathtaking experience, enjoy lunch and some free time aboard the Acacia. 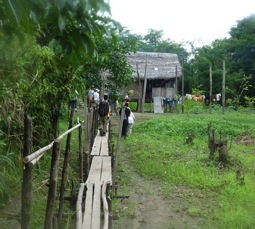 In the afternoon we will visit one of the local villages to gain a deeper insight into how people live in Amazon. Meet a local shaman, participate in a traditional ceremony of spiritual healing. Constructed in 2014, the Cattleya is 75.5 feet = 23 meters long, the beam is 19.7 feet = 6 meters wide, draft is 6.5 feet = 2 meters deep. With a 185 hp caterpillar engine she cruises at 16 knots. The caterpillar 48 KW encapsulated generator provides power for the 220/110 volt electrical system. Communication is by UHF and VHF radios, and by satellite phone. 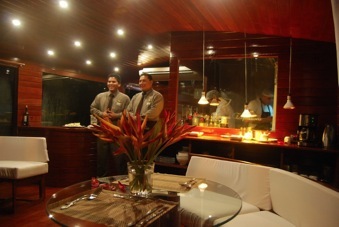 Air-conditioned dining-room and bar with TV/DVD. 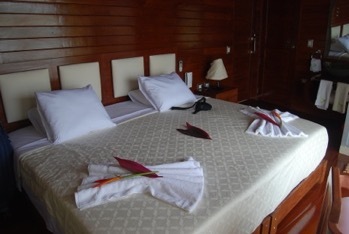 The ship carries a crew of 8 to 12 staff, with two professional Naturalist Guides when there are 8 or more participants. bathrobes, in addition to safe deposit boxes and minibars. Rubber boots, ponchos, and binoculars available for guests. 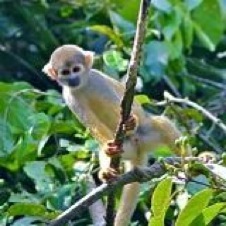 Amazon wildlife that you are likely to see include during your explorations include: pink dolphins, the smaller grey river dolphin, pre-historic looking hoatzin birds, sloths, monkeys, colorful tree frogs and toads, iguanas, toucans, parrots, macaws, kingfishers, horned screamers, herons, terns, hummingbirds, caiman, leaf cutter and army ants, piranhas, primeval looking catfish, strange looking insects and of course, a myriad of beautiful butterflies such as the iridescent blue Morpho. 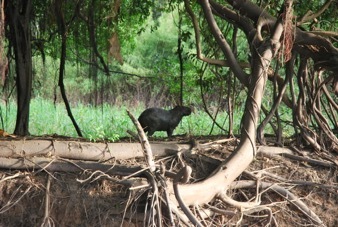 More rarely encountered are river otter, manatees, capybaras, anteaters, electric eels, the large tapir, and jungle cats. You can also experience perhaps the strangest wildlife of all; the nightlife on a ship in the middle of the Amazon Rainforest! 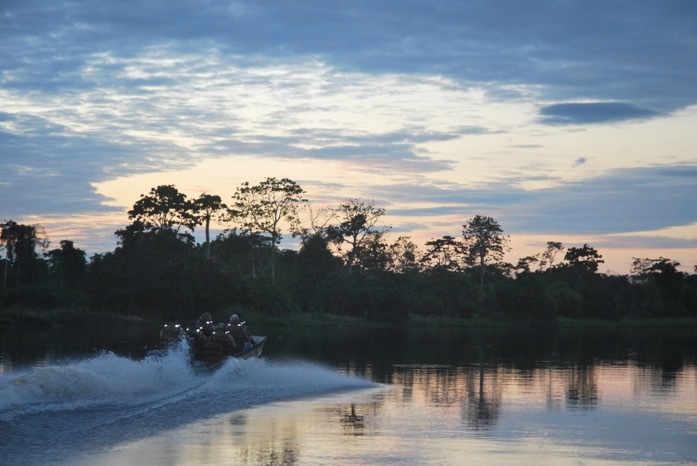 This National Park is the largest Protected Natural Area in Peru (2´080,000 ha), located at 300 km / 190 miles from Iquitos and is accessible only by waterways. 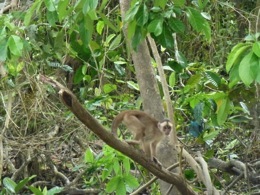 The wealth of the low lying Virgin Rainforest gives this area an enormous bio-diversity. 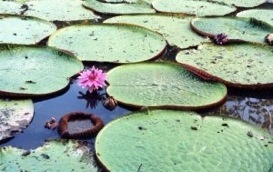 The National Reserve has many lakes and lagoons and vast swamp areas. Practically unexplored and uninhabited except for protected species in the interior, it offers an astonishing potential for research studies and observation of wild life, particularly of certain species in danger of extinction in other areas. This area has more than 85 lakes and exuberant vegetation with a great variety of flora species such as the Lupuna Tree, measuring up to 160 feet tall with a diameter of 10 feet in four forest types. It also has 130 species of mammals such as the Jaguar, Ocelots, Giant River Otters and Capybara (the world's biggest rodent), and several species of monkeys in danger of extinction, like the black Maquisapa or Spider Monkey, the Yellow breast and the Common Woolly Monkey. There are 350 bird species like Toucans and Blue, Yellow and Red Macaws. All this, plus the 150 reptiles of 20 families, makes our forest one with the largest number of species seen on any tourist trip in the world. 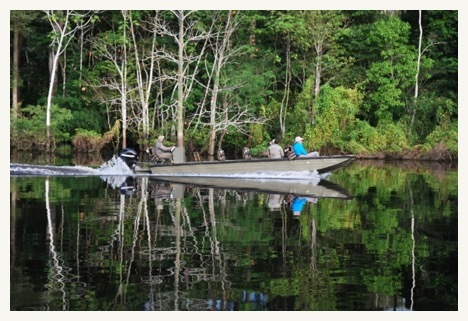 The most important source in the Pacaya Samiria National Reserve is the aquatic fauna, with 250 species of fish, such as the Paiche, one of the world's largest fresh water fish, weighing over to 250 lbs. 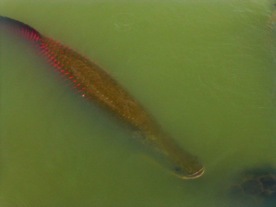 and measuring up to 9 feet long, plus species of Turtles, Pink and Grey River Dolphins, and the Manatee. 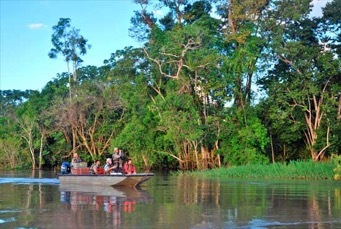 A cruise to the Reserve offers the opportunity to know new cultures and to explore the mysterious and magic world of the Amazon forest. 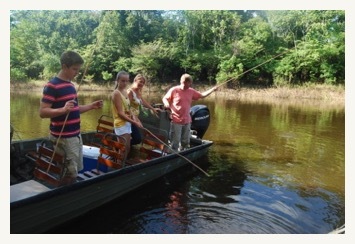 It offers a variety of activities, as diverse as the forest itself. 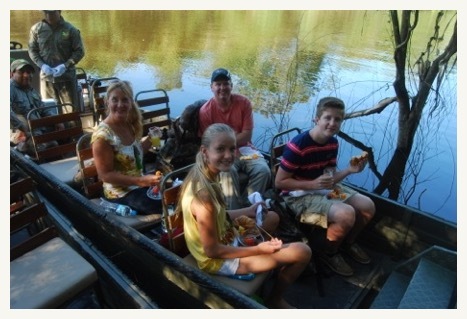 Along with excellent bird and wildife viewing, you can witness a countless variety of flora and fauna, go fishing, save memories with photographs, admire the Pink River Dolphins, learn about Shamanism and medicinal plants, all while observing life on the Amazon River. Located in Peru's Amazon regionin the Departmentof Loreto, the Pacaya-Samiria Reserve is a triangular shaped area between the Maranon and Ucayali rivers. 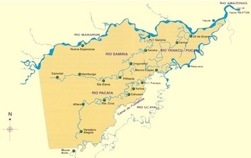 These rivers intersect at the northeastern tip of the Reserve, marking the beginning of what is considered the Amazon proper, about 100 miles up river from Iquitos. 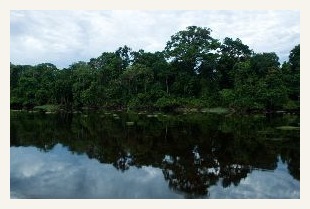 The basins of the Pacaya and Samiria rivers have been protected by the Peruvian government since 1940. The area was declared a National Reserve in 1972 and enlarged to its present size of 5,137,000 acres (2,080,000 ha) in 1982. 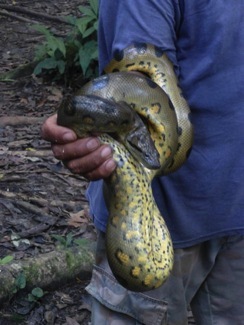 The Reserve is the largest in Peru, the second largest in the Amazon region, and the fourth largest in all of South America. The great size of the Reserve assures that it will be ecologically and genetically representative of the region, with an abundance of virtually unchanged areas. With future protection and conservation, its location and great extension, assures the preservation of the most representative flora and fauna of the humid tropical forest. 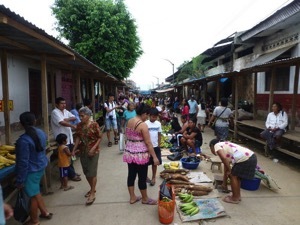 The approximately 70,000 people who live in the Reserve mostly are located in villages along the edge of the Reserve. Only a few villages are found in the interior of the Reserve. 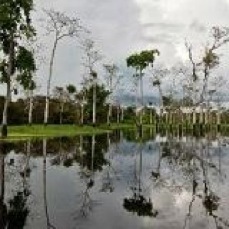 The reserve is located in a region called Lower Jungle (which most seasonally floods), characterized by an exceptional variety of animals and plants. It is considered one of the most interesting areas for scientific study and evolution of the flora and fauna, because of its great biodiversity. 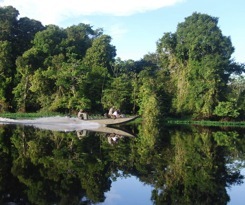 In the basin of the Pacaya River, there are more than 20 lakes of regular dimensions in the basin of the Samiria River there are more than 40. 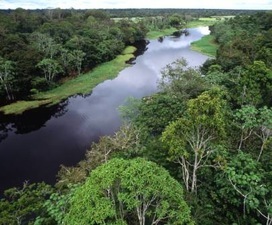 In the shores of both rivers there are also wide areas of swamps where cane and other plants grow. 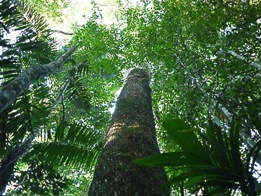 The forest is predominantly high and dense, with trees of 50 m in height, whose trunks, in many cases are 3 m in diameter. There are, among other plants, 22 species of orchids and 600 species of passionflowers alone. There also grows the "uña de gato", whose medicinal properties are well known all over the world. The water fauna is the most important protected resource, among it are the paiche, an enormous fish with delicious meat, as well as turtles that hatch their eggs in the river shores, the pink and the black dolphin, countless fish species and even manatee. Among the most important fauna ones are the 132 species of reptiles, of which we can mention the legendary anaconda, crocodiles like the white and the black crocodile, as well as colonies of iguanas, over 300 species of birds, including the rare Harpy Eagle. 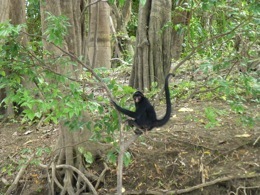 There are over 132 species of mammals including rare giant river otters and tapirs, and 13 species of primates. 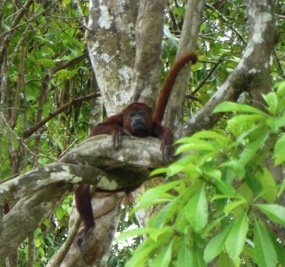 The black spider monkey, the orange-chested spider monkey, the woolly monkey, the Saki, the Uakari, and the howler monkey are all considered endangered and are rarely seen in much of today's Amazon Rainforest. 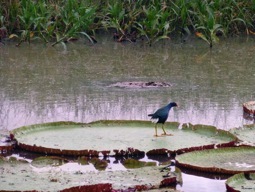 There is much to protect in the Reserve!